Networking versus relationship building—aren’t they pretty much the same thing? I’ll admit, I thought they were until recently. Listening to a podcast featuring Glen Jackson of Jackson Spalding in Atlanta changed my mind. Listen and Learn – We’ve all been there. You’re in a conversation with someone and you can tell they aren’t present. They are nodding, “uh-huh”-ing, but it’s clear their mind is somewhere else. Too often, that absent person is me. But good relationship builders truly listen. They ask good questions. They hear the answer. They want to know more. They want to know about you. They care, and they are present. Invest – Building a relationship takes time, and great relationship builders are in it for the long haul. They want to go deep instead of wide. They invite you to lunch or coffee. They go to your games. They ask about the job interview, or the parent who had a health scare. And perhaps most importantly, they roll up their sleeves to help, giving their time and attention without looking for something in return. Personalize – While I love getting gift cards for Christmas, there is nothing quite like getting a gift from someone that communicates, “I really know you.” Great relationship builders do this, sending personalized notes, articles they know you’ll like, or texts of encouragement. They order a book for you that they know you’ll love. They bring you your favorite Starbucks drink. It feels good to be known, and great relationship builders do this well. Care – This is fourth on the list, but truly foundational to the other three. Good relationship builders care. They care enough to listen without having to get a word in. They care enough to learn about you and really get to know you. They care enough to invest their time and energy into you. Their attention is personalized because they’ve cared enough to learn about you and make observations. Great relationship builders genuinely care. Those are four relationship-building traits that resonated with me. While relationship building doesn’t come naturally to many of us, we can all improve. I hope some of those resonated with you as well. Luke (name has been changed) was a lot like of other teenage boys: a huge sports fan who loved the Rangers, Netflix, and his X-Box. The youngest of three children and only son of prominent Dallas attorneys, Luke seemed to have everything going for him. He was smart, likable, and set up for success. But late in high school, Luke’s life took a turn. He was bullied at school. Symptoms of ADHD surfaced. He began to withdraw from friends. Social situations prompted a crippling anxiety in Luke. Soon he turned to alcohol and prescription pain pills to mask the pain. Before long he was bunkered down in his parents’ home – no job, not in school, no direction in life. Isolation and substance abuse had taken its toll. 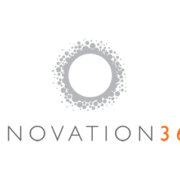 Understandably concerned for their son, Luke’s parents reached out to Innovation360. After assessing the situation, acustomi360 plan was developed. A member of our Life Development team brought him to the Cooper Aerobics Center for a withdrawal stabilization. But as is often the case for those in the throes of mood issues and addiction, Luke was resistant to treatment. He left the Cooper Aerobics Center and walked 11 miles back to his parents’ home where he bunkered down, in crisis but refusing to leave. Fortunately, Luke’s parents were not alone in addressing their son’s crisis.Thanks to the powerful, positive influence of healthy relationships,i360’s Life Development team was there to support Luke and his family and able to convince him to return to the Cooper Aerobic Center. But as his substance abuse was removed from the picture, other problematic behaviors surfaced, including body image issues and binge eating. Thanks to Luke’s relationship with the Life Development team, things started heading in the right direction. The team began to show him what authentic relationships look like – a stark contrast to the bullying he had experienced in high school. They began to work on body image issues and the importance of self-care. They worked on developing social skills, and skills to manage his anxiety, stress, anger, and shame. 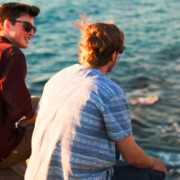 Team members worked out and ate with Luke to help him develop healthy, balanced lifestyle habits.And they spent free time with Luke, to help him understand how to have fun without the use of substances. Luke fully engaged in treatment, attending an intensive outpatient program, DBT skills group, individual and family therapy and several 12-step support groups. The Life Development team helped connect the dots for Luke so he could process the things he was learning in individual and group therapy, and apply them directly to his life. When Luke eventually moved from the Cooper Aerobics Center into a sober living facility, the Life Development team continued to work with him to implement what he was learning in therapy and to keep him plugged into healthy relationships. In time, those healthy relationships began to take root. Soon Luke was ready to go back to school. He began at a community college, earning A’s his first semester. Luke has been sober for two years now and has transferred to a four-year university where he has continued to make straight A’s. He plans to major in Political Science and has aspirations of becoming a lawyer, just like his mom and dad. Thanks to Luke’s commitment to his recovery and the support of his i360 Life Development Team, those dreams are on track to become reality.